Liz wanted a bouncy castle for her sons party in Market Deeping, but was limited on space as she didn't have a largest of venues. We guided her on which castle would fit in the space she had and she settled on our fabulous dinosaurs deluxe bouncy castle. We have since become the preferred supplier for this hall as they know what a great job we do....................... "We hired a Bouncy castle for our daughters 3rd birthday, the kids loved the Bouncy castle and we loved the ease of booking and set up, thank you"
A lovely review from a very regular customer of ours. Rowena hired our superheroes deluxe bouncy castle and has just booked our amazing hot tub party too! Thanks for a lovely review Rowena................... "Fantastic ! Great service , fabulous bouncy castle! I would highly recommend them to all :)"
We really felt sorry for Amy. She had arranged 2 birthday parties (one after the other) for her 2 children. She was having a garden party in Summer - you'd think it would all be great. Then the weather forecast came out... thunder storms all day! In the end Amy managed to find a hall for the first party, so we set up her bounce and slide bouncy castle near Bourne, then returned to move the bouncy castle to a second location for the second party! Yes, it was hard work, but whatever it takes to ensure the children have a good party we will do. Thanks for the amazing review Amy. x................"I can not recommend this company enough. They went above and beyond even moving the bouncy castle from different venues for us to ensure both of my children had the best party. They offered fantastic advice when the weather took a turn for the worse which meant we could still have the bouncy castle and most of all dry children! The bouncy castle was in amazing condition and such good value for money. I would definitely use this company again." Introducing our new climb 'n slide ball pool! 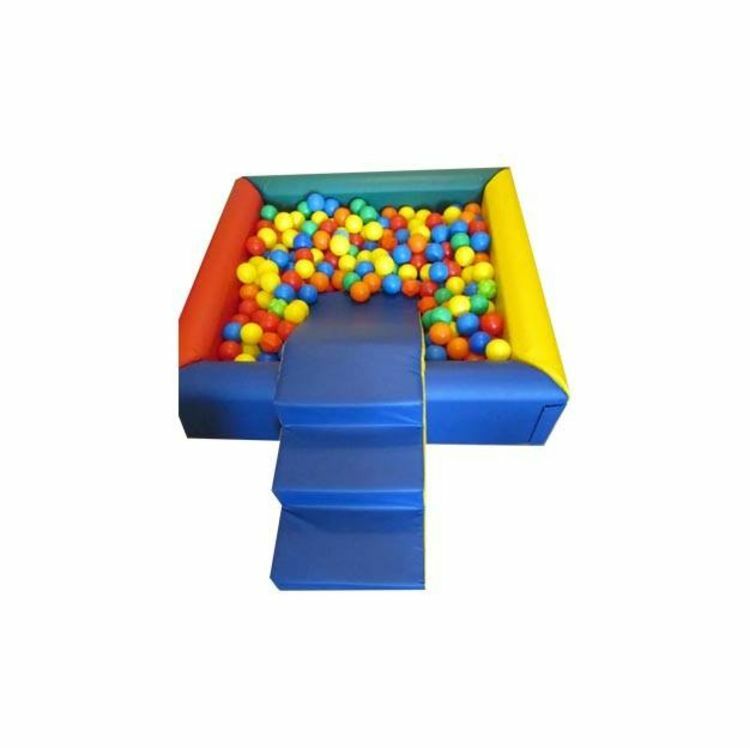 Sure to create squeals of delight from your younger guests, this ball pool is a perfect addition to your soft play party or as something to entertain the younger guests at any event. Toddlers can climb the soft steps on the outside of the ball pool then slide into the balls on the other side. This super little ball pool is supplied with all necessary safety equipment including safety matting and is a bargain at only £30. At 1.2m square, this ball pool is ideal for smaller spaces as unlike our magic inflatable ball pool, it can be pushed against a wall to take up much less space. This ball pool can also be used in the soft play party packages instead of the inflatable ball pool at no extra cost, please just ask when booking. 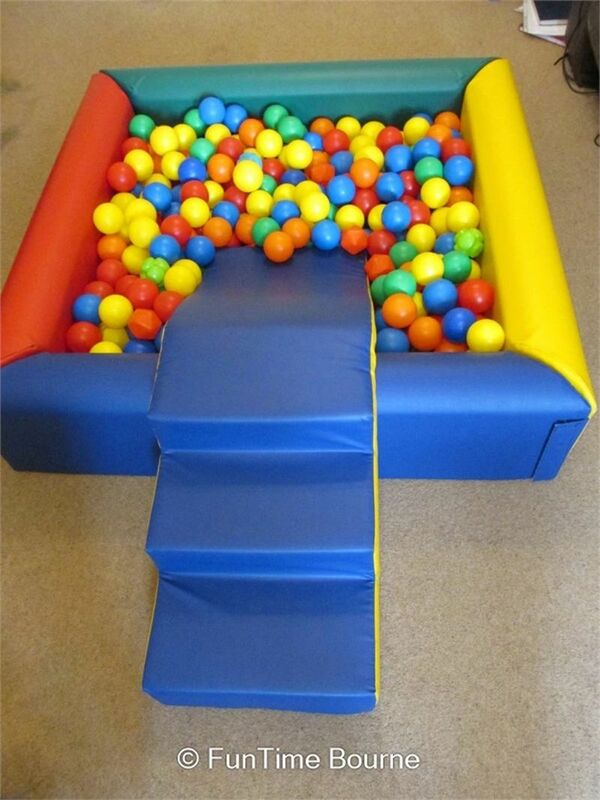 This is also the ball pool included in our home based party package. Perfect size to fit in living rooms etc and a very costs effective party option for the smallest children. How about adding some sweetie cones to your order to cover party bags too? That'll be one less job to do and can all be delivered together free of charge (within our free delivery area). Also don't forget, here at It's Fun Time we supply FREE printable party invitations. Take a look through our various designs, we hope you'll find something you'll like to match your party style. If you would like to book our climb 'n slide ball pool, or in fact any other Funtime product, please just give us a ring on either 07592 373310 or 01778 570394 or you can always drop us an email via our contact us page.